Get along to a live gig! 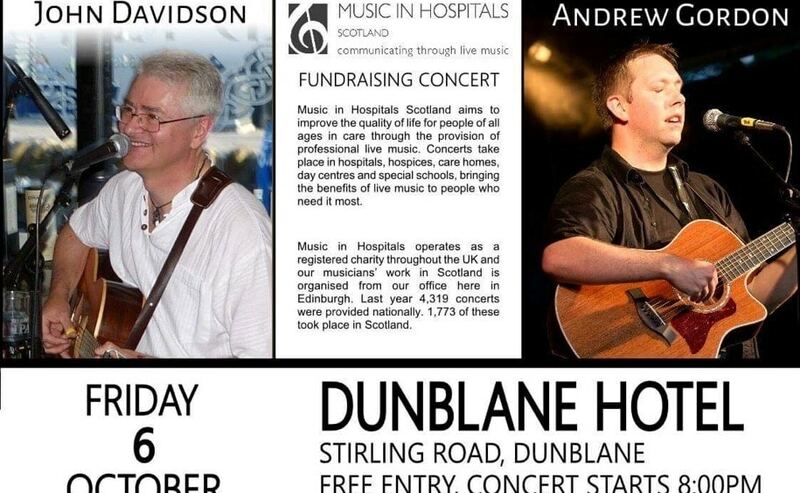 MiHC Scotland musicians John Davidson & Andrew Gordon are hosting a fab folk filled evening in aid of MiHC at the Dunblane Hotel on Friday 6th October 2017. Their performance will start at 8pm and it’s free for everyone to attend. It’ll be fun night, full of great music and no doubt some great tales and stories too! Between them, John & Andrew have given over 650 concerts for MiHC and we’re extremely grateful to them both for running this fundraiser to help further our work in care settings across Scotland. We wish them and you a great night in Dunblane.